Today marks one year since the creation of OneLifeToEat the Blog. It’s hard to put into words what has really happened through this blog for me, the past year. Starting OLTE was to fuel a personal passion for food, and it was high time I came on the other side of the table – the kitchen – to try it out for myself. People say, you should start a food blog when you have great recipes to share. For me, it was the other way around. I am far better a cook than I was a year ago (my husband’s honest opinion), I appreciate the process of food preparation much more (sorry, mom for all those tantrums about food!) and most importantly, I’ve met some truly wonderful food bloggers who I have learned so much from. OLTE has also helped me grow as a Marketing professional. A side-effect of actively managing this blog is my continuing self-education about Social Media, Blog management and Content development. I’ve even had a shot at my first Guest post earlier this week. I finally believe Matt Cheuvront about the One Thing that will completely change your life that he spoke of in a vlog earlier this year on his inspiring blog. I strongly suggest you read his blog if you plan to start your own, have one, or have been procrastinating on starting a blog for much too long a time. It’s been one amazing year and look forward to so many more. 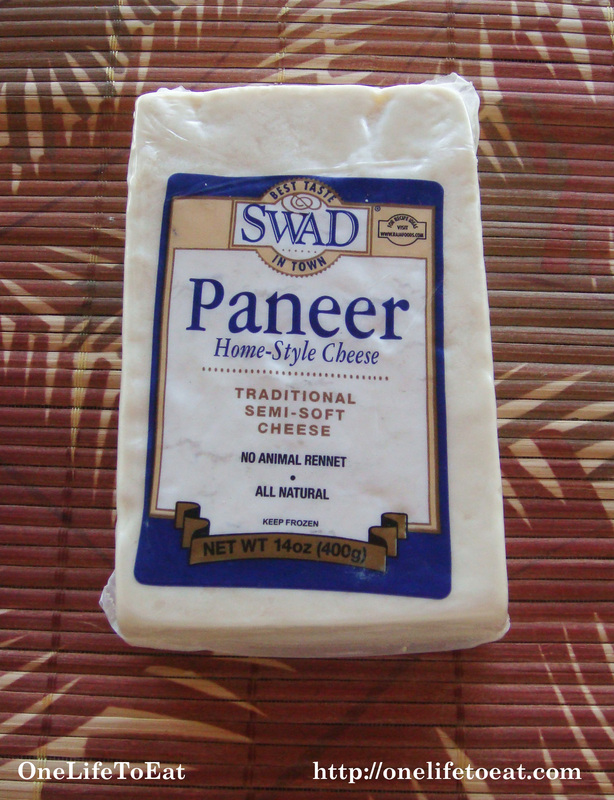 Paneer Mattar, which literally means Cottage Cheese and green peas, is a light, fragrant curry that is popular in North India. As is with all cooking, variations to this dish include different preparation methods. 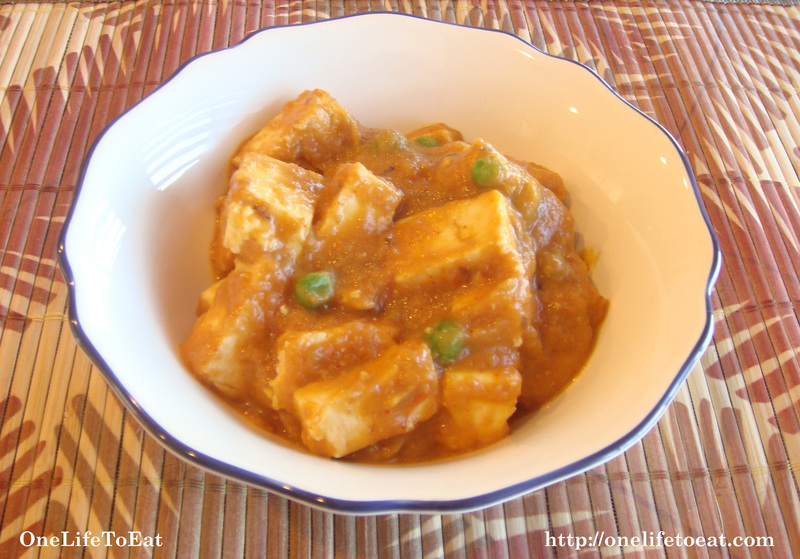 My recipe is part of the the Curry series on OneLifeToEat and is prepared with the same curry base, but with different ratios of ingredients. Since the Cottage cheese doesn’t need to be ‘cooked’ this dish literally takes just 30 mins to prepare! Serves 2. Congrats on your one year anniversary – it goes fast, doesn’t it?! And Matt’s definitely right on how a blog changes your life. I would never have “met” you if I didn’t have a blog! And I’m much better at cooking Indian dishes thanks to OLTE. I was channeling you earlier this morning as I took my first shot at making homemade chai – it turned out great – way better than coffee shops around here, though maybe not as good as what my favorite Indian cafe serves. Thanks Jenn! This blog has opened up so many doors for me, both professionally and personally. I made some masala chai for the hubby this morning! What is your favorite Indian cafe in Chicago?